Just as red wine has different varieties of grapes, fruits and flavors, so does our super Resveratrol. Resveratrol is formulated and designed for maximum effect. We use only the best ingredients designed and formulated to deliver optimal nutritional value. Call us crazy but we do not just want to stuff a bunch of grape seeds and skin into a capsule. 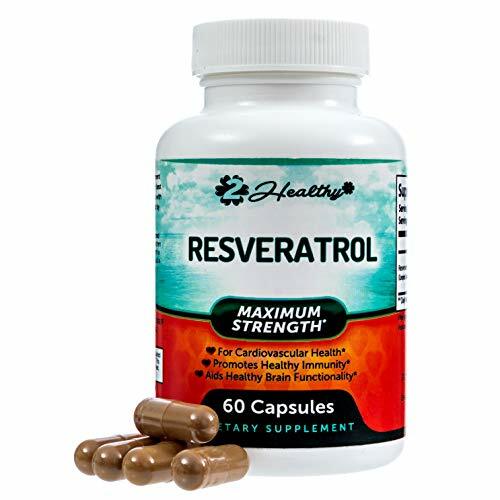 Resveratrol is a beneficial compound often found in the skin of red grape seeds, juices, dates, berries and red wine, and is thought to have powerful antioxidant properties. Resveratrol is nature’s way of making you feel great. ✔️ NATURAL FORMULATION – No unnecessary fillers, binders, or potentially harmful preservatives or GMOs means no unwanted side effects! We use FDA registered and GMP compliant manufacturing facilities in the USA. Our formula is in capsule format, not to be mistaken for resveratrol compound in softgel, powder drink, tablet pill, liquid oil drop, chewable chews, serum gel drops, cream caps, tincture, and gum gummies. ✔️ PURITY – We use only the finest ingredients, all of which are manufactured in our US, GMP compliant, state-of-the-art, facility. Every batch is laboratory tested for quality assurance. Grapeseed extract capsules bergamot nicotinamide riboside nmn nicotinamide mononucleotide acai berry cleanse.